BOO!!! That’s my Halloween-themed greeting to get you in the mood to check out the Halloween Souvenirs that will be haunting Disneyland Resort and Walt Disney World at various times throughout the 2018 Halloween Season! 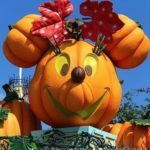 Perhaps it seems a little early… but remember, Halloween Time kicks off in Disneyland Resort on September 7th, and the very first Mickey’s Not-So-Scary Halloween Party is on August 17th in Disney World’s Magic Kingdom. And bearing in mind how quickly the Halloween specialty items tend to sell out, you’ll want to be VERY well prepared! The Happy Halloween Popcorn Bucket for 2018 will feature Mickey and Minnie fleeing a spooky scene on broomsticks, with Chip and Dale bats not too far behind! You’ll find it around popcorn carts all over Disneyland Resort and Disney World parks. Remember this huge hit from last Halloween? 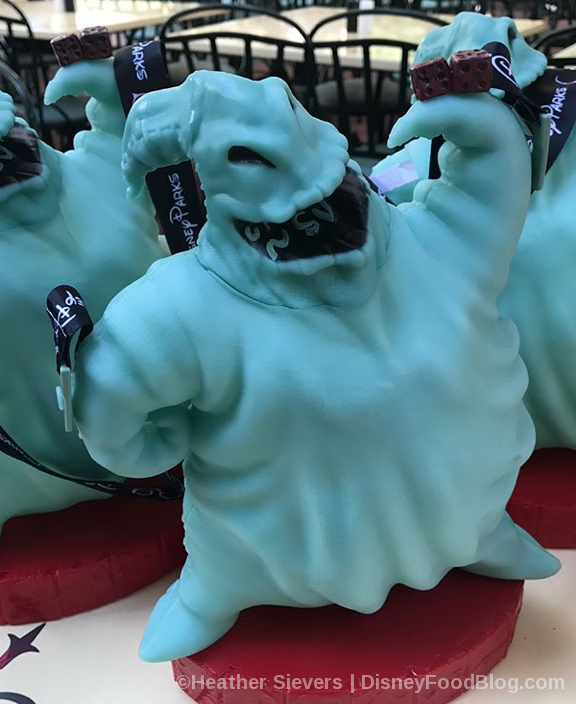 The glow-in-the-dark Oogie Boogie Popcorn Bucket will make its way back to Disney California Adventure popcorn carts and the New Orleans Popcorn Cart in Disneyland park. But wait… there’s more! A new version of the Popcorn Bucket (pictured on the right below) will be an exclusive offering at Mickey’s Not-So-Scary Halloween Party in Disney World! Later in the season, the new version will be available in Disneyland Resort. 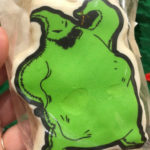 Only in Disney California Adventure, however, will guests find the new Disney California Adventure Oogie Boogie Base Popcorn Bucket, where Oogie Boogie is joined by the likes of the Headless Horseman. Look for it at the Buena Vista, Grizzly Peak, Pixar Pier, and Hyperion Popcorn Carts. 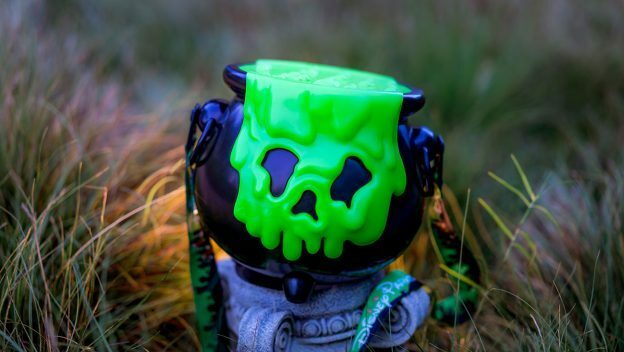 The new Cauldron Premium Popcorn Bucket (!!) 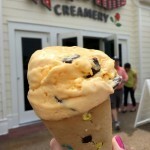 will be available starting mid-September in Disneyland Park… AND all four Disney World Parks AND Disney Springs! Special features of the Cauldron Premium Popcorn Bucket are that it glows in the dark AND has a Hidden Mickey! 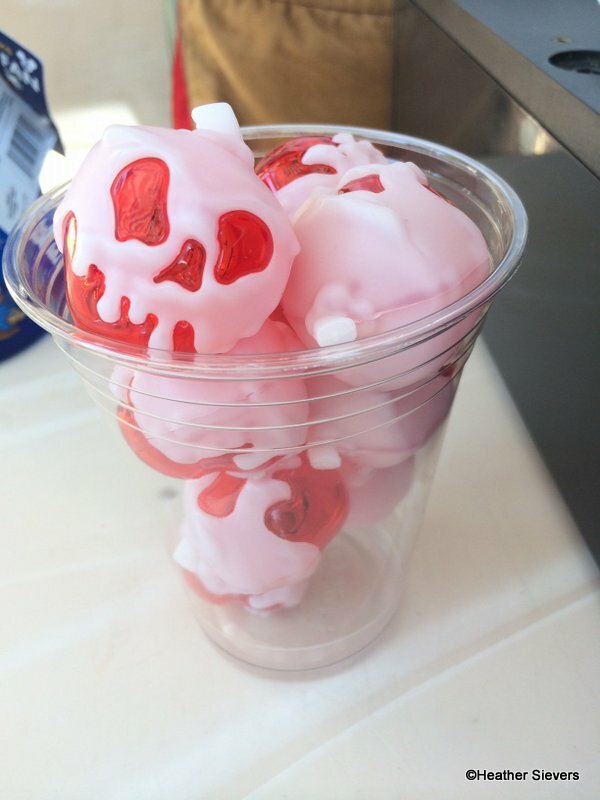 Look for the popular Poison Apple Glow Cubes in THREE different colors this year! 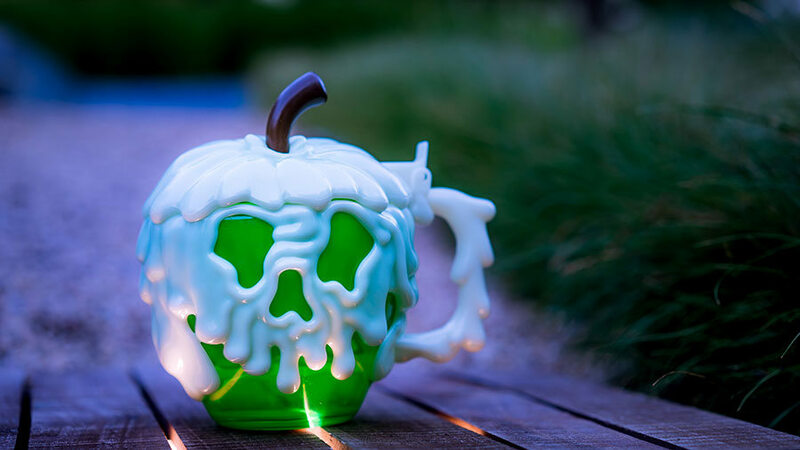 The Green Poison Apple Stein will be available throughout Disneyland Resort. 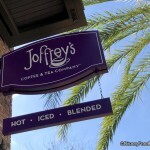 You’ll also find it in various outdoor vending locations throughout Disney World’s Animal Kingdom park. Look who’s galloping into BOTH Disney World as well as Disneyland Resort this year! 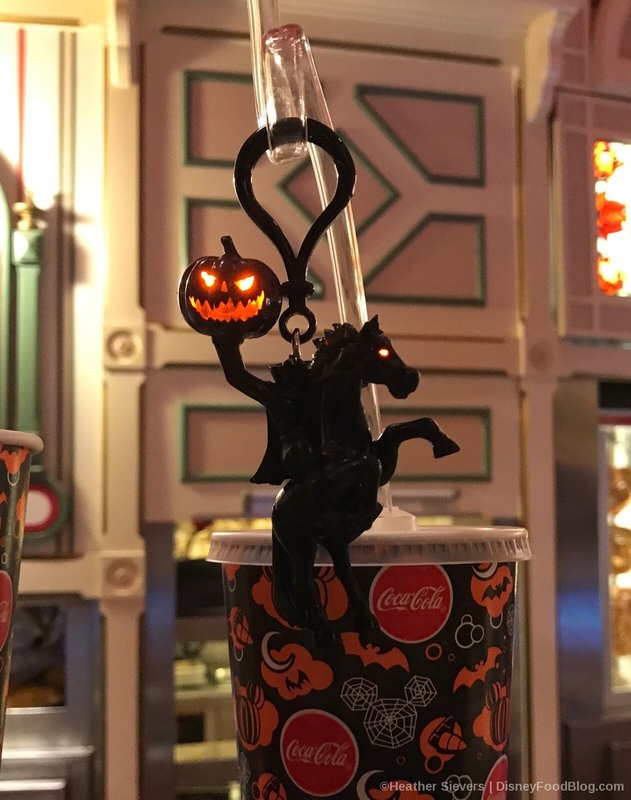 The Headless Horseman Straw Clip will be available at various locations throughout Disney World’s Magic Kingdom and the Disneyland Resort. 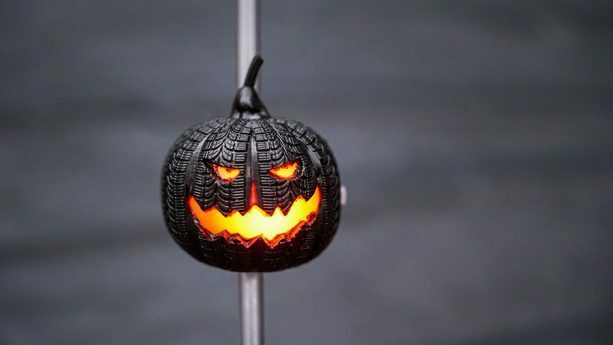 The Tire Pumpkin Straw is inspired by Halloween in Cars Land, so you’ll find it at Cozy Cone Motel and Flo’s V-8 Cafe in Disney California Adventure. But you’ll find it at Disney World, too! 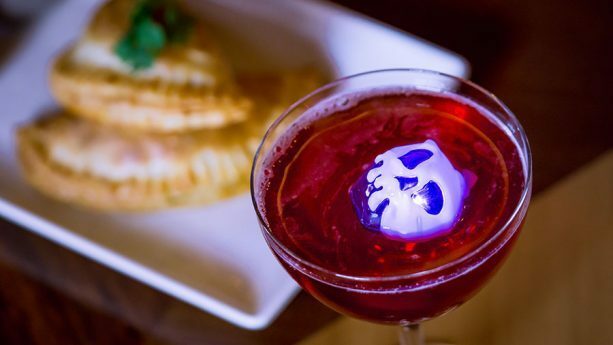 Look for the Tire Pumpkin Straw in Counter Service locations around Epcot, Hollywood Studios, and Animal Kingdom. Each of the Halloween novelty items is only available while supplies last. They will be available at various times at the noted locations throughout September and October, so if you find one you want, don’t hesitate. …consider it a HEADS UP! Ready to scare up all sorts of seasonal fun? Which 2018 Halloween item would you love to get this year? Please let us know with a comment! 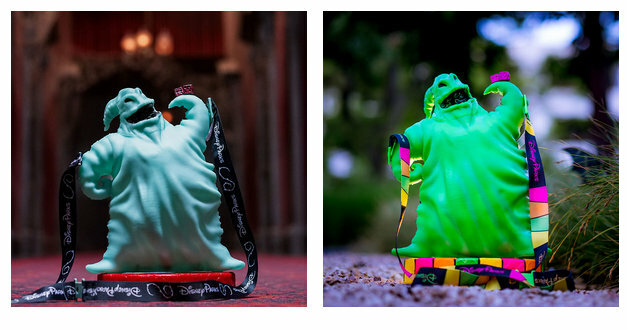 Will any of these Halloween themed souvenirs be available at MNSSHP in August? Are they available to all guests or only pass holders? Thanks! 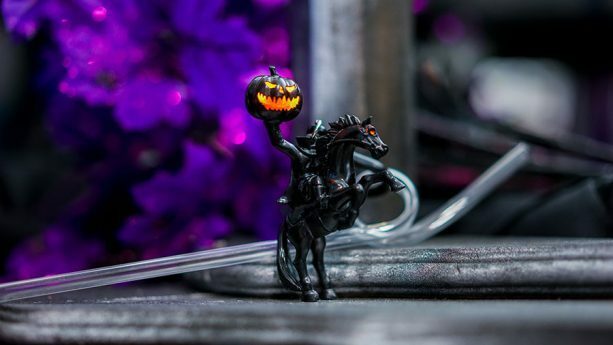 I’m probably the one in a bazillion person who doesn’t like the Nightmare before Christmas characters, but I love that headless horseman straw clip! I also love these posts with holiday merchandise and treats, no matter how early they come! So no items before the middle of September? The parties start in August…..we are out of luck ?! Love all of it! Especially the Headless Horseman and Oogie Boogie! 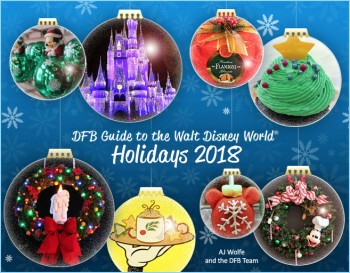 B, all of these items should be available at Disney World when the parties begin. Dates later in the season seem to apply to the Disneyland availability. Karen, hard to know — but we hope they’ll keep restocking through the whole season! Nicole, these items should all be available at the parties, as long as supply keeps up with demand! Is the travel mug then one that could be used for refills both inside the hotels AND parks? And if not getting one at your hotel, where can you get one? Sara K., as far as we know, at Walt Disney World, the travel mug will only be available at WDW resort hotels — and may only be used there, just as it is with the traditional refillable mugs. If we learn otherwise, we’ll certainly update! 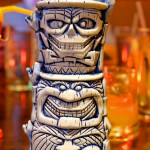 Any information on a new Halloween Tiki Mug at Trader Sam’s Grog Grotto? Is the Headless Horseman Straw only sold during the Halloween party or can you buy it with a regular ticket? As of now, none of the cast members in WDW have seen the Headless Horseman straw clip. Apparently, others been asking for it also.